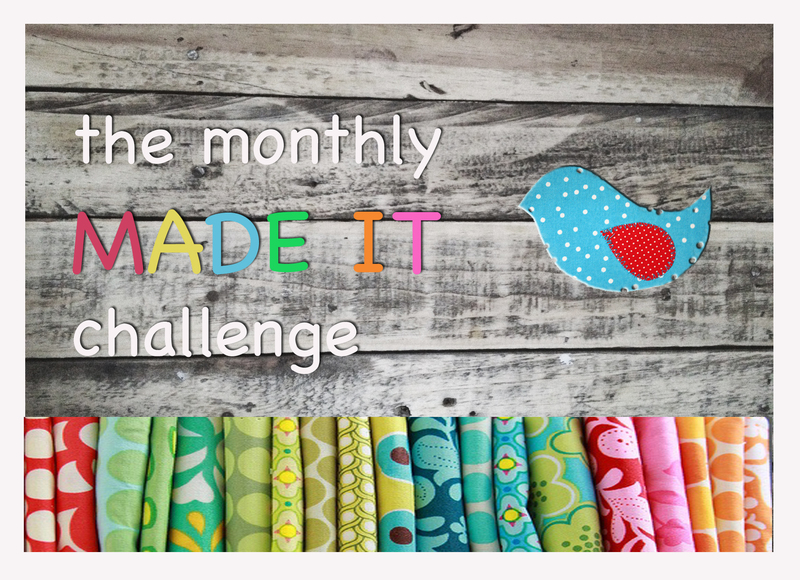 The MAY Made It Challenge – A whole lotta woolly wonders! Welcome back to the MAY Made It! WOW, there are so many amazing new entries plus a few newcomers to introduce you so sit back and enjoy! Oh, and more happy browsing of course! 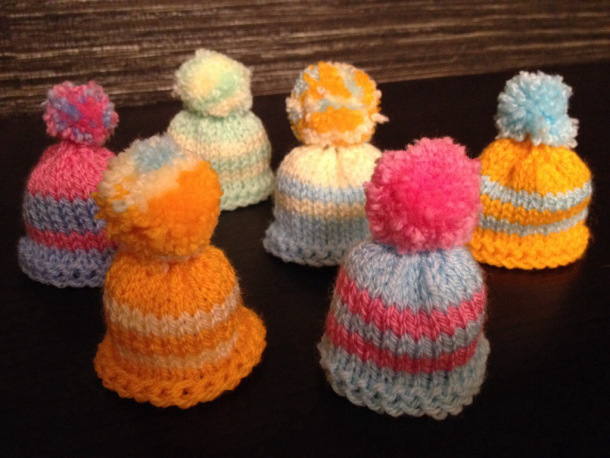 Meet Helen Rowe from Crochet Creativeness! 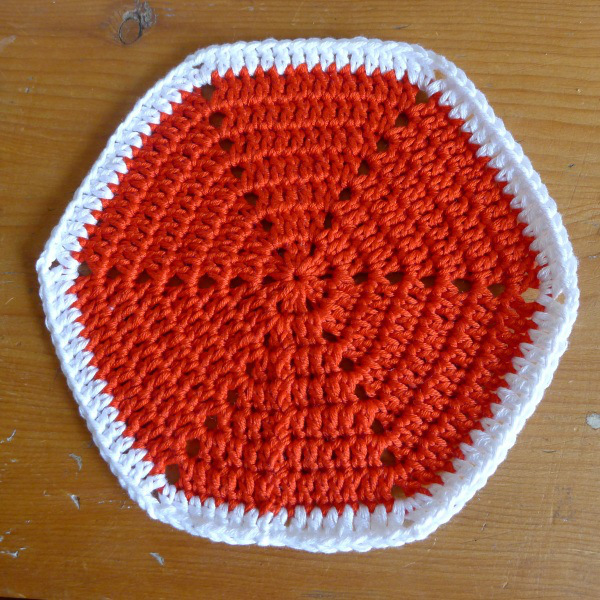 Next up is this wonderfully warm and cosy looking blanket with a sweet orange trim made by Alynnis Crochet. I’m always amazed at the commitment and love that goes into creating and completing such a wonderful projects like this. Well done! Meet Flip, Flop and Fly – a wonderfully woolly, wise and every so smart-looking family of owls by Jill from O’Noodles. Love how the fan stitch so cleverly creates their gorgeous feathers. Oh, and those eyes….!!! Thank you so much ladies, you are all truly inspirational! There’s still time to enter more links so whatyawaitingfor?! This fabulous Owl Cushion is up for grabs this month! This months PRIZE for the lucky randomly drawn winner is this FABULOUS Newsboy “Blinged Up” hat made by the wonderfully talented Jill of Nice Piece Of Work! The March Made It – Happy Rainbow Hexagons! 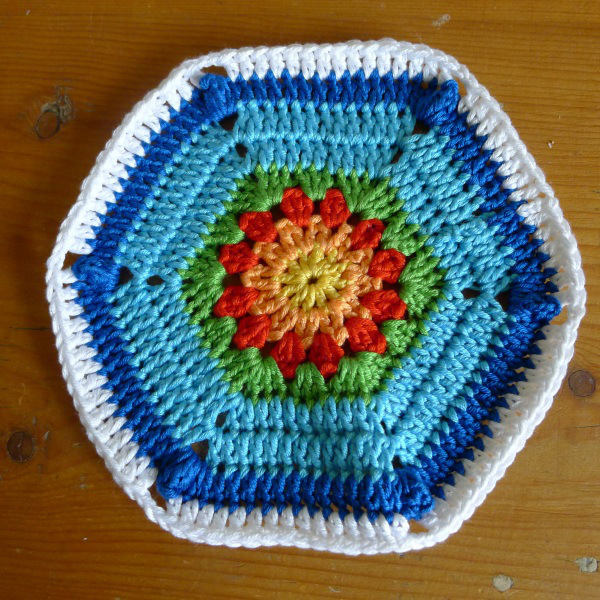 If you love hexagons (I do, I do!) 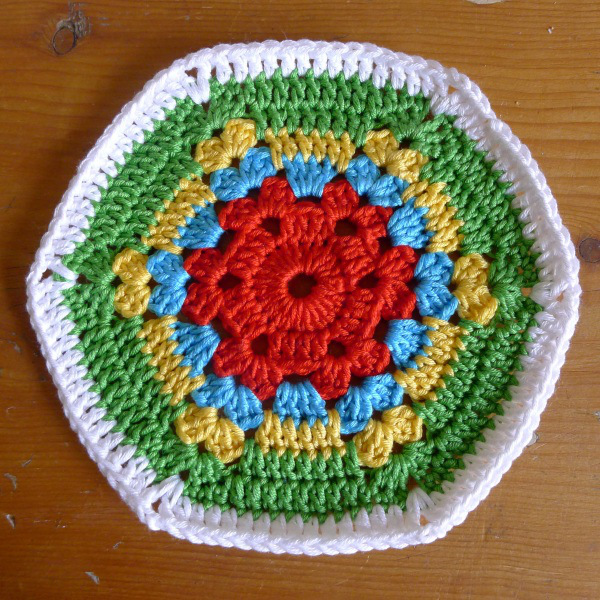 you will LOVE these bright, beautiful HAPPY hexies! These are Jane of Rainbow Junkie Corner‘s entry into this month’s Made It challenge – just one look at them leaves you in no doubt who made them too! 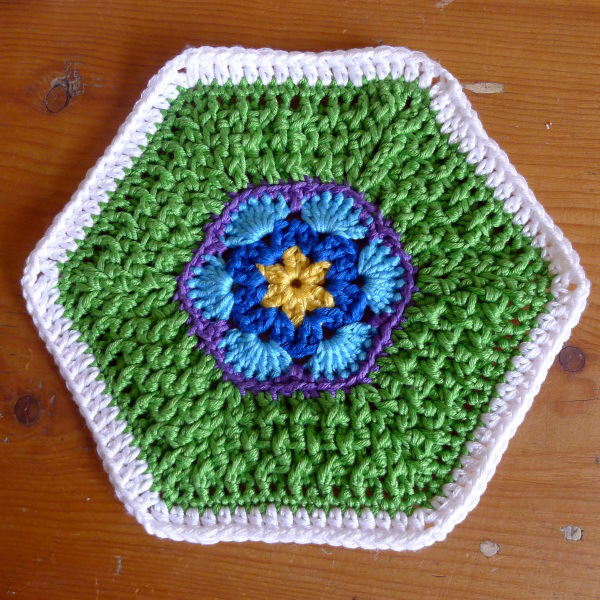 Jane’s hexagons were made as a contribution to Patch of Made by Patch‘s exciting project called The Collaborative Crochet Blanket 2014 where she invites crafters to make hexagons and mail them to her. 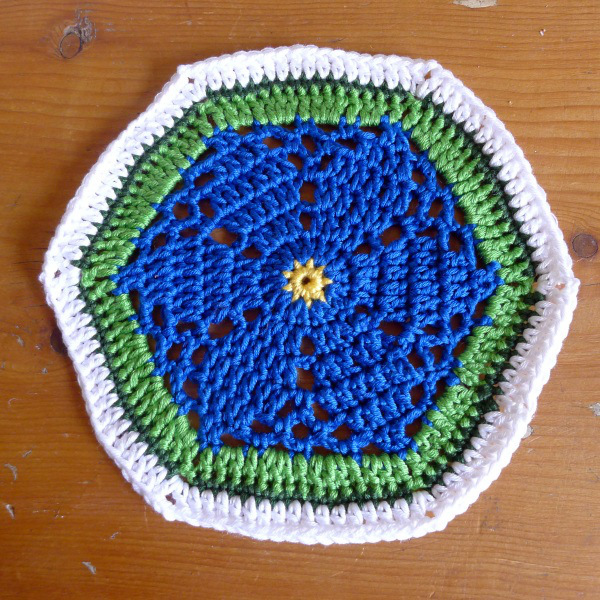 Once the blanket is all sewn up, it will be raffled and won by one of the contributors – what a brilliant idea. I hope I manage to made the deadline and add some of my own. If you are keen, why not join in! The FEB Made It WINNER IS…. JEEPERS, THAT WAS TOUGH AND THAT WAS CLOSE – so many amazing projects in the mix made it almost impossible to cast votes for all the favourites! Thank you all so much for voting, for visiting blogs, for your encouraging comments and for taking part. FEB was EPIC! Wooooohooooo Congratulations Tamara, your ADORABLE Galilee Slippers are stunning are such worthy winners! 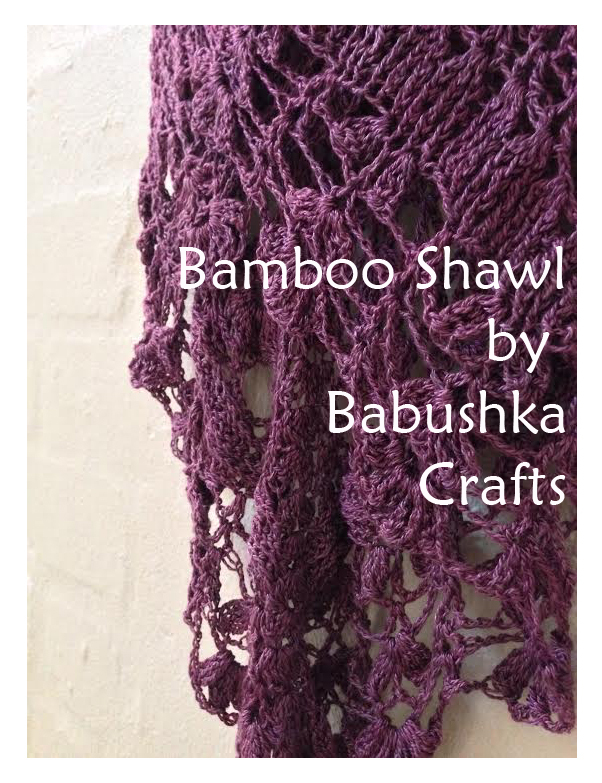 Your new shawl by Trevlyn of Babushka Crafts will be whisking it’s way to you very soon! 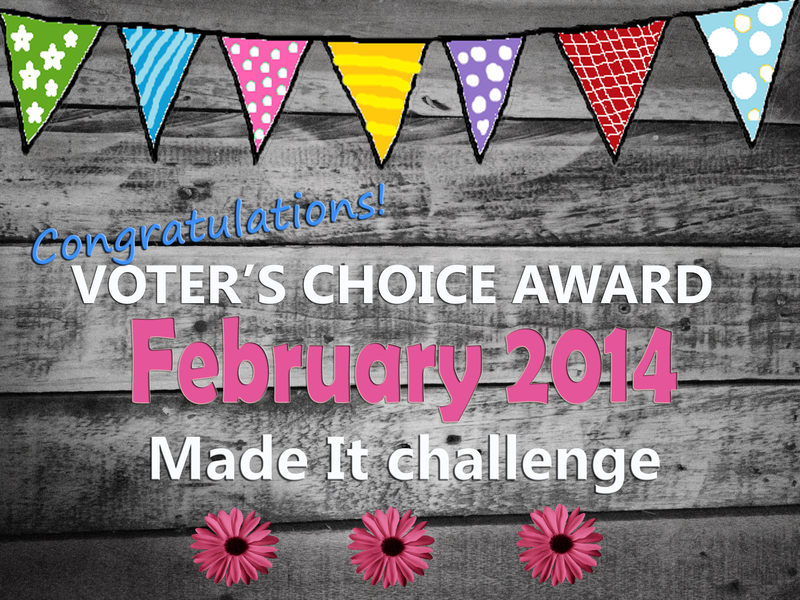 Here is your FEB WINNER’S BADGE to wear on your blog! The voting not just soooooooooooo close, we actually had a THREE WAY TIE! Told you it was tough!!! So, naturally the VOTER’S CHOICE AWARD goes to all of them! 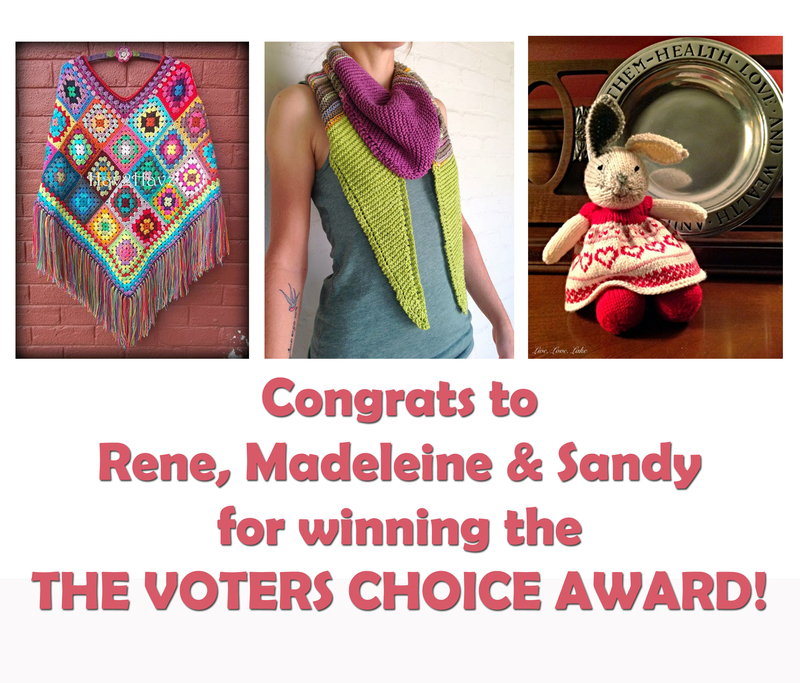 Congrats Rene from Hav2Havz, Madeleine from Pretty Blue Bird Studio & Sandy from Live Love Lake who each received SEVENTEEN VOTES! Your projects are so incredibly inspirational – thank you for sharing them with us! Please accept this badge to wear on your website/blog or fridge! Thanks to everyone once again for making the Made It extra special – see you all in a few day! * Although I encourage multiple entries in the Made It challenge, only one LINK for each person goes into the random draw which is generated by InLinkz! 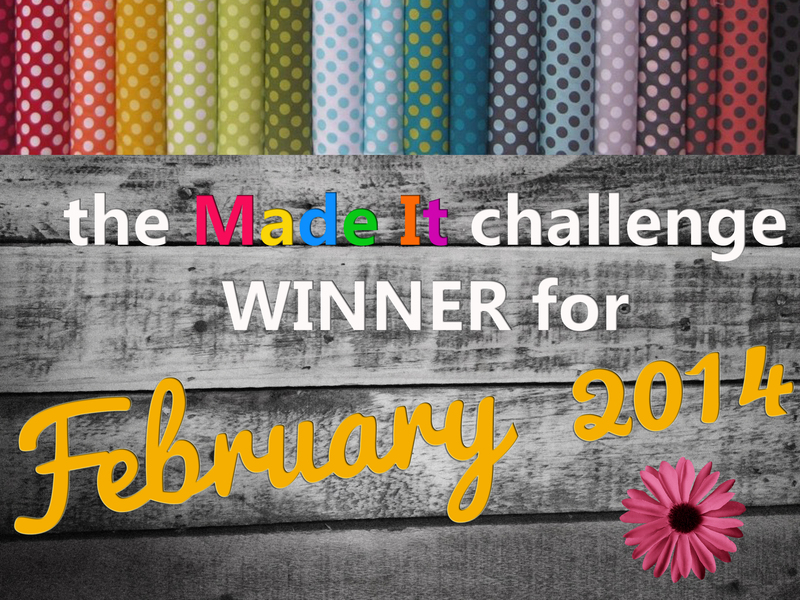 VOTING IS OPEN FOR THE FEB MADE IT CHALLENGE! 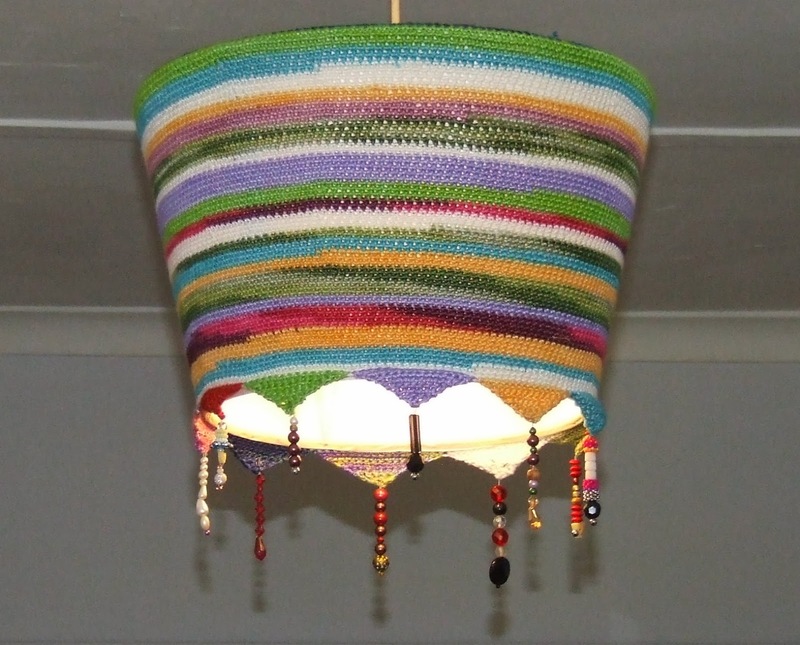 This months prize is a stunner, made and donated by Trevlyn of Babushka Crafts! The winner will be randomly drawn by InLinkz on the 28th FEBRUARY. The Prize – You’re gonna want to be in it, to WIN IT! Now before you go all weak at the knees, NO, this is not the prize! The colourful, incredibly beautiful blanket picture above, hand-made by Trevlyn, was the winner of the July Voter’s Choice award. 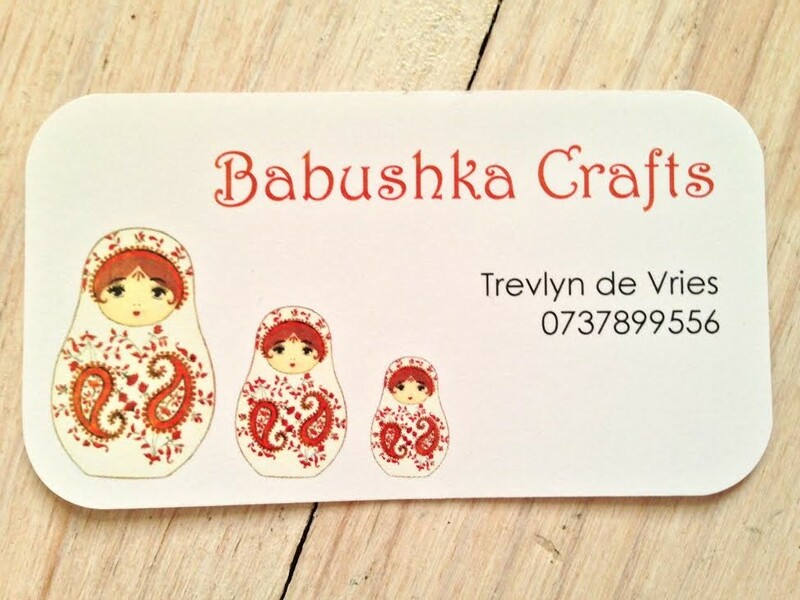 Now, super talented Cape Town designer Trevlyn of Babushka Crafts is giving back by sponsoring this month’s PRIZE!!! What did I tell ya?! You are going to want to be in it to WIN IT!!! *shriek* No one, I mean NO ONE (not even a 7 foot, scar-faced wrestler) could look at these ADORABLE Galillee slippers and not have a heart melt!! 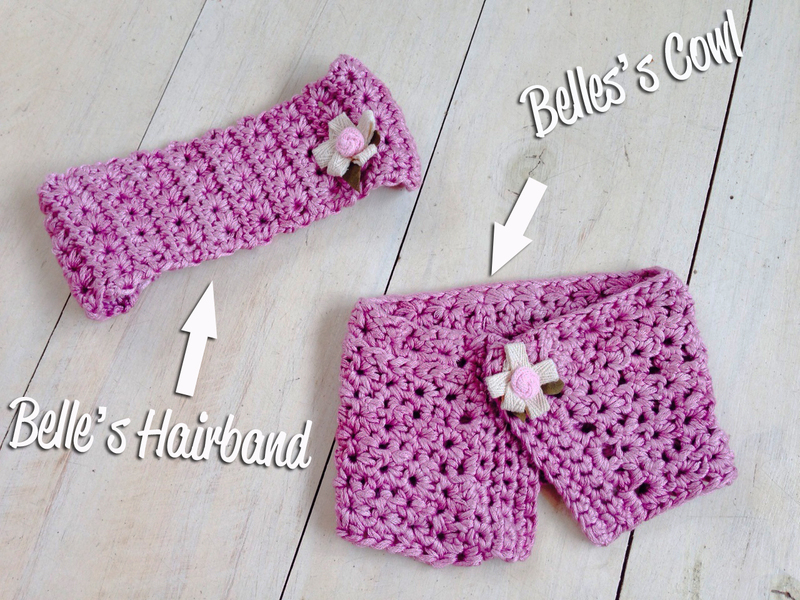 These beauties, made by the super busy & madly talented Tamara from Crochet With Tamara are so gorgeous they don’t lose their cute-appeal the bigger they get….that means I NEED a pair STAT! 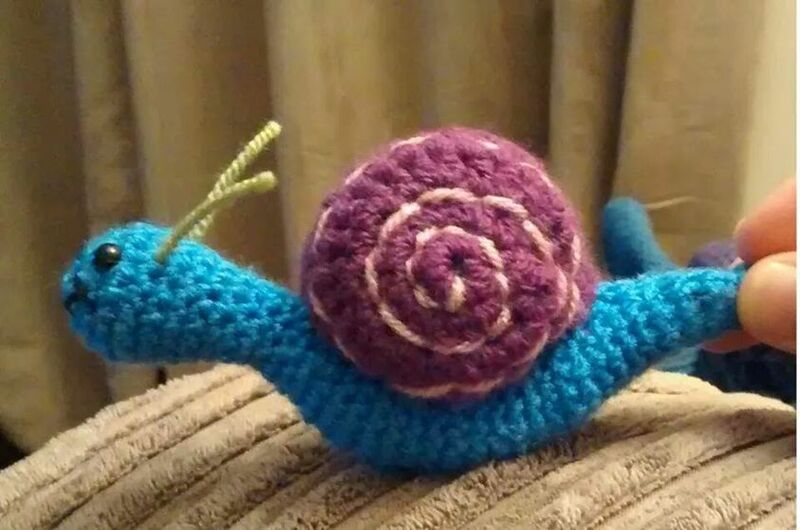 A warm welcome back to Helen from Creative Granny who’s been making some amazing things (please go and browse her blog). Ahhh, the colours, the stripes, the tassels!! I absolutely love this lamp, such a clever idea, and as Helen says, a great way to use up left overs. What a way to brighten up a hallway!! Well, I must say I almost stopped breathing when I saw this STUNNING creation – I mean WOW! 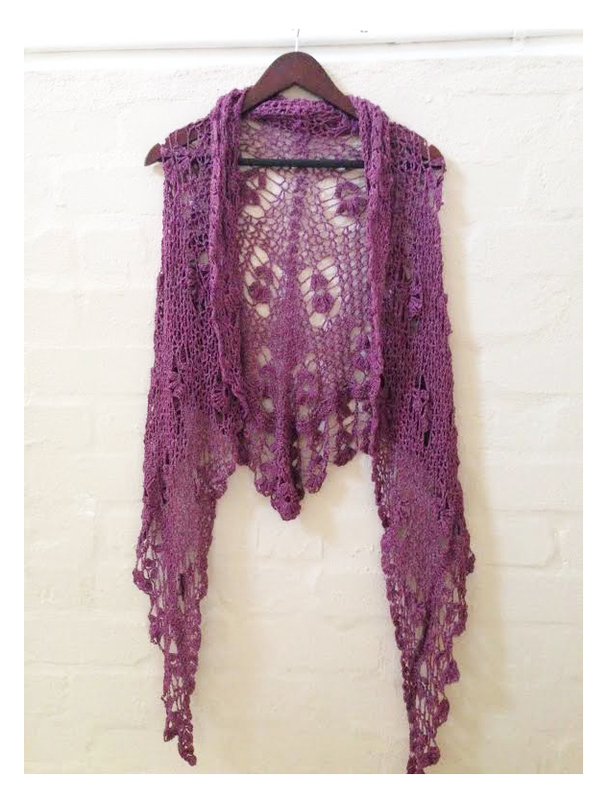 This beautiful granny square Poncho crocheted by Rene from Hav2Havz is one heck of a jaw-dropper. Again, the use of colour is fascinating and the rich tassels (for me, the best part) just makes it!!! Welcome back to Carole from A Slight Obsession With Books who just keeps on inspiring with her wonderful creations. I’ve never seen a design like this one before – her Starry Sky cushion is beautiful and so perfectly sewn. AGAIN, the colours are fabulous – very striking (see her post for a pic of the back too, love the contrast). The FEB Made It challenge is OPEN! WOW, is the end of January already and if you have had a month like mine, you probably feel like the year is well under way already…Busy, With a Chance of Excitement – can you feel it?? Here is the PINK LINK – can’t wait to see what get entered! So I wasn’t completely useless with a hook & yarn over the festive season – although by most of the standards out there, I should be burned at the stake!!! I wanted to make a Christmas pressie for a VERY SPECIAL young little lady called Isabel who lives in the UK and I went on a little search and found this AWESOME little video by B.Hooked (absolutely LOVE this stitch) …. 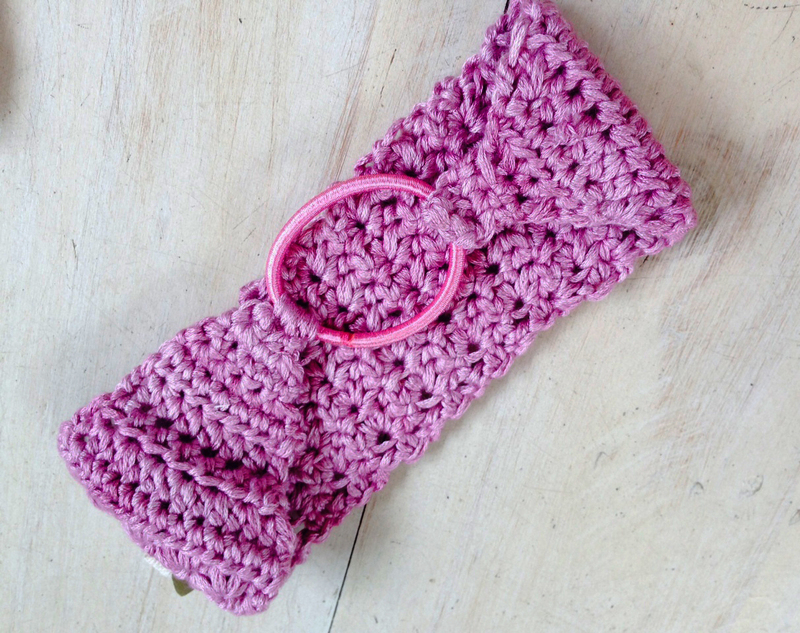 And this too…I also wanted to add a hair band so I used the same stitch and used a hair tie as a joiner! Love that trick!!! added a little flower and clasp… and voila! That’s all for now….hope you are all getting ready for the FEB MADE IT CHALLENGE!!!! NOVEMBER Made It Challenge – more great entries comin’ your way! Ok ok, I know! I am super late in introducing all the stunning entries so far into the November Made It challenge (almost mid month, yikes!) Forgiven? Thank you. Now sit back for a bit and enjoy!!! WOOP WOOP, welcome Pixie from Pixie Miks A Lot, the first of FOUR newcomers to the challenge this month!! Not only are these beautiful crochet (stackable) baskets a fantastic gift idea, there’s a wonderful easy to follow pattern too *quickly writes down onto ever growing to-do-list* Pixie’s blog is full of such creative idea so pop over and have squizz! Another warm welcome to Sandy over at Live Love Lake! So happy that you’ve entered and shared your gorgeous foxy creatures with us. Meet Francine and Ferdinand, two very distinguished and happy looking knitted foxes. 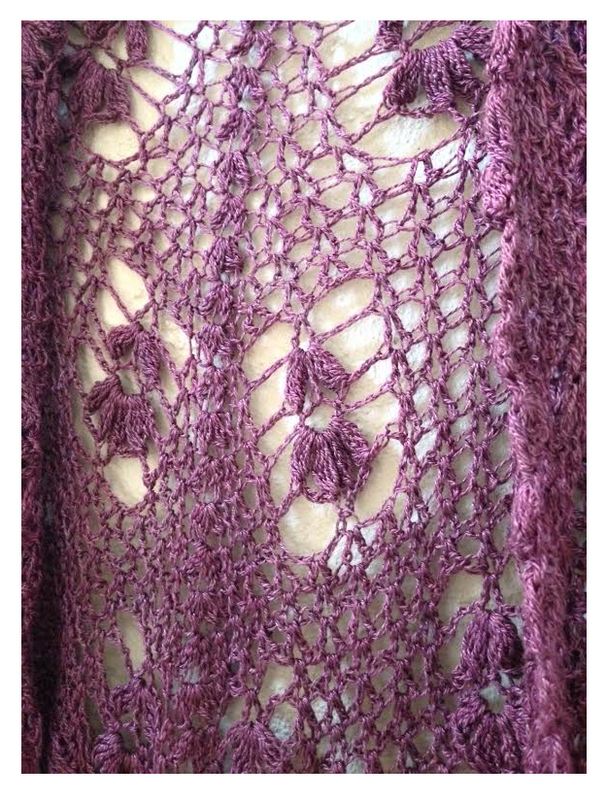 I am blown away by knitters in general, these type of intricate designs look terrifying difficult to pull off. Well done Sandy, they are marvelous! So happy to have our happy hippy chick back again! When I think of Rene from Hav2Haz I think….zany, colourful, fun, happy, chic, Bohemia…and her stunning denim bag is all that and more. Her work is always filled with love, BIG LOVE (have you seen her Adele Hearts??) Rene, if you are reading this, I NEED one of those hearts please heehee!!! After nearly a year in the making, here is Jane from Rainbow Junkie Corner‘s Spectrum Granny Ripple blanket….and its’s spectacular! Click on the links for a closer look at it in all it’s glory. The waves of rainbow colours are so beautiful and fit for any “rainbow junkie”!! Well done to you Jane, what a wonderful achievement – I’m sure the winter evenings are now more than welcome! YAY, another droolsome blog to follow! Welcome to Lavendel en Papaverv (Lavender and Poppy) and thank you for entering these fabulous creations. Absolutely LOVE these chocolate cushions – again I so admire knitters the cable stitch and overall effect is so chic. Oh, to be wrapped up in an array of such beautiful flowers! The colour combo of the poncho is perfect too..hmmm, I’m now thinking of other combo for “bigger” little girls!! A beautiful pink ballerina! So delicate and elegant, just like a real one. The lacy vintage skirt is exquisite, how did she make those tiny roses?! 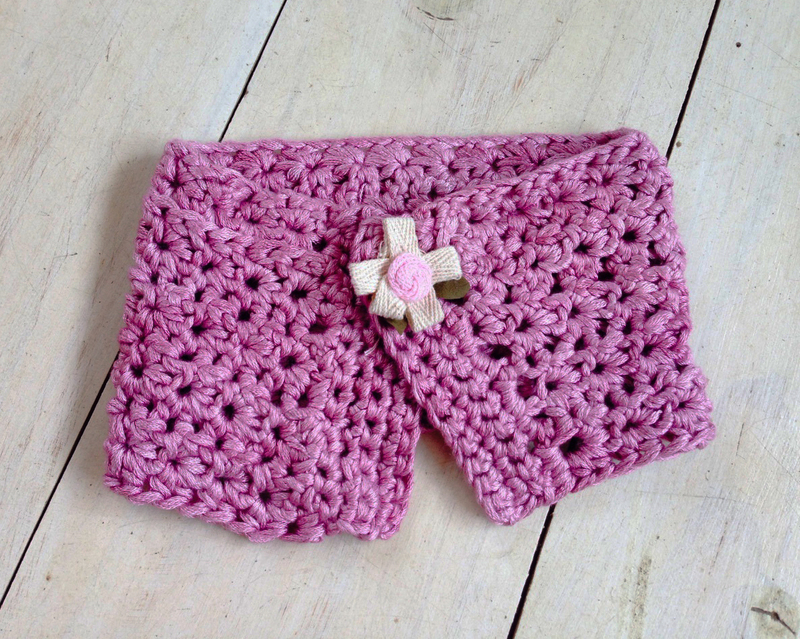 Another massive welcome to Pink Princess in Thailand who’s blog is filled with stories of life in Thailand and lots gorgeous crafts so enjoying browsing! 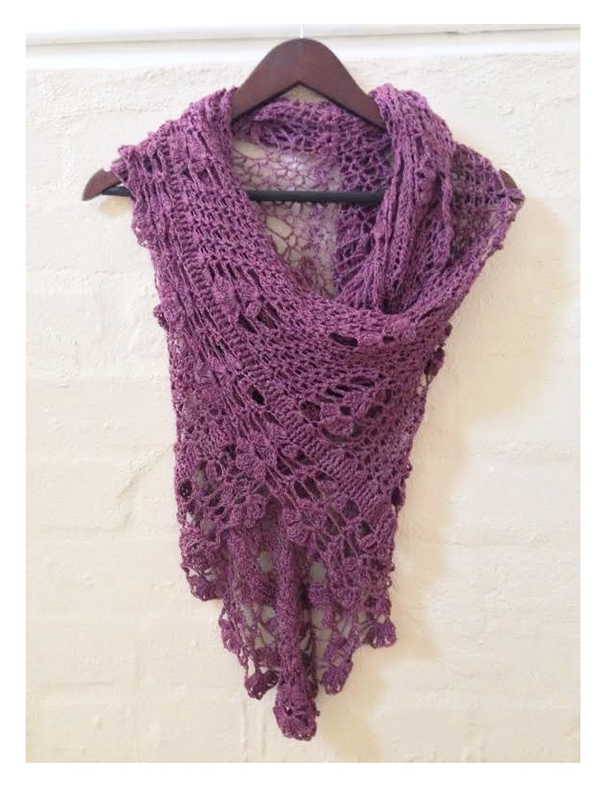 The cowls that are coming in this month are really spectacular! 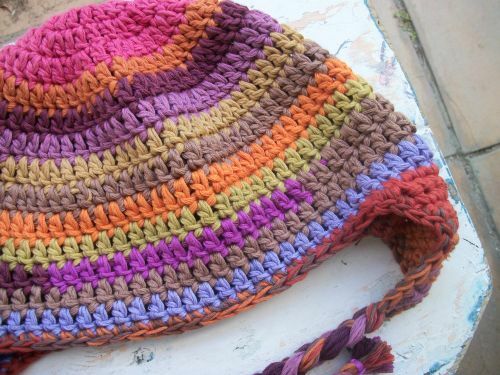 Look at this chunky one made by AvienaDawn – the v stitch puff and the buttons make this so easy for guys to wear (he looks rather dishy & uber trendy don’t ya think!) 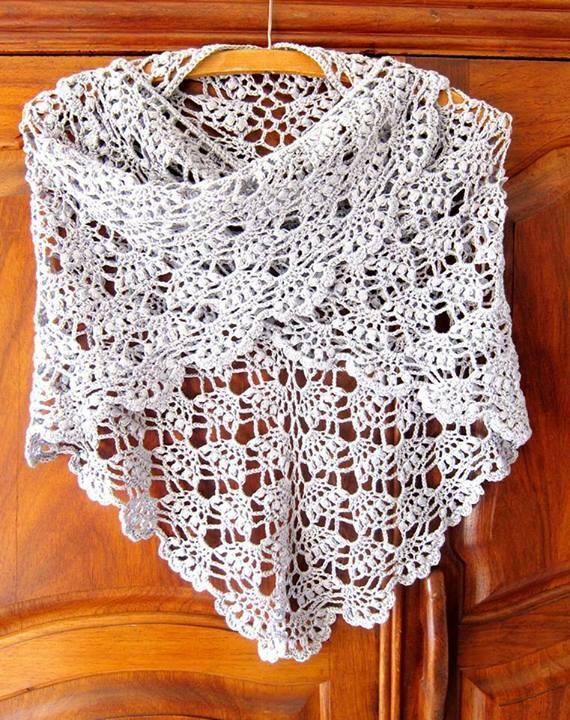 There’s a free pattern too! Oh, and pop over and see what’s keeping Aviena a little quick these days….I’ll give you a hint. BUN. OVEN!